PS3 finally drops under $300, but wait for the 120GB? Finally, the PS3 80GB has dropped to $299. This long awaited news comes with the announcement that a slimmer Playstation 3 will arrive Sept. 1 in stores across North America and will also sell for $299. In addition to the 80GB price drop, retailers also dropped the price of the 160GB model to $399 starting today. 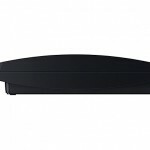 The new PS3 features all newly designed internal architecture, allowing a slimmer and lighter console. Power consumption and fan noise has also been reduced, and the overall size of the console is about 2/3 of the previous model. 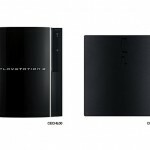 Updates to the new PS3 include BRAVIA Sync functionality, software update 3.00, and a vertical stand — sold separately for $24. 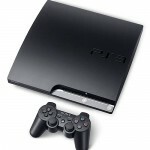 New branding will be represented on the 120GB PS3 in the form of a bolder PS3 logo, engraved on the top. So why wouldn’t you wait a couple weeks to get an extra 40GBs in your hard-drive for the same price? The new PS3 has removed the “Install Other OS” feature to be exclusive to the PS3 operating system. So, if you are planning on running another OS on your PS3 you may want to stick with currently available versions. 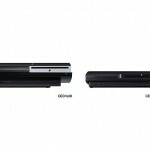 Playstation 3 “Slim” is now available in either 120GB or 250GB models. they should drop the price of the 160Gb even more. Removing the option to install a second OS to the new slim will greatly affect Linux folks. So far, I’m still looking forward to know the complete features of this new slim. I already got the older PS3 with PS2 compat. Tempting to get the new one though and sell my old that i paid $500 for. I think this is a good deal. but not sure if the 160GB is. why pay 100 more for 60GB?